The effects of climate change are already being witnessed. 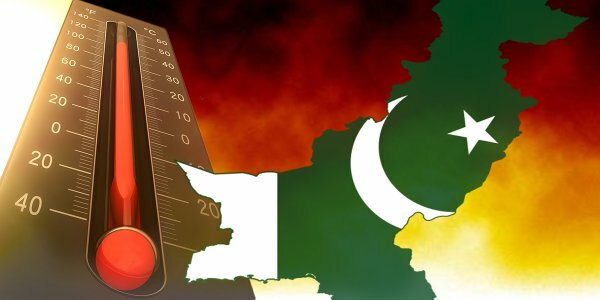 Last week, Pakistan hit 122.3 degrees Fahrenheit (50.2 degrees C), the highest temperature recorded for the month of April — ever. The sweltering temperature was reported by the city of Nawabshah in Sindh, then was later confirmed by the Pakistan Meteorological Department. The residents of Nawabshah are well-acquainted with extreme temperatures. After all, highs of 53 degrees C are oftentimes recorded during May, ahead of the summer monsoon. The issue is, scorching temperatures continue to rise. Temperature records for the region extend back to 1930. The previous Pakistan April record was 122 degrees Fahrenheit (50 degrees C), and was reported just last year. This year, dozens of people collapsed with heatstroke from the “unbearable” heat. The news is concerning, as Nawabshah set a new record in March, as well. A reading of 113.9 degrees Fahrenheit (45.5 degrees C) was the highest March temperature recorded in Pakistan. Reportedly, residents in India and South Asia have been experiencing higher-than-normal temperatures, as well. In many areas, it is normal for temperatures to rise before the monsoon rains begin to fall. However, more records are likely to be broken across India and Pakistan. According to a study conducted last year, mean temperatures across India have risen 0.5 degrees C over the last 50 years. Heat waves have also become more common.
? New Study Suggests Fracking Chemicals Harm The Immune System The Role Of Young Souls In An Old Soul’s Life ?